Sick burns, skillful rhymes and spot-on pop culture references — plus a few nerdy dance moves thrown in. 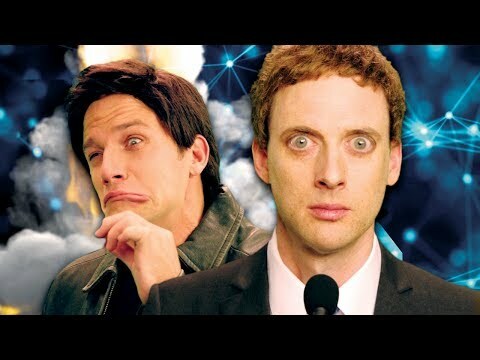 These are all hallmarks of Epic Rap Battles of History (ERB), a YouTube channel founded by entertainers Peter Shukoff and Lloyd Ahlquist with a staggering overall view count of more than 3 billion. Since the premiere of their first video in 2010, Shukoff (better known online as Nice Peter) and Ahlquist (who goes by EpicLLOYD) have stepped into the shoes of influential figures ranging from George Washington to Skrillex — and earlier this month, the two released their first rap battle in almost two years: Elon Musk vs. Mark Zuckerberg. Entrepreneur spoke with Shukoff and Ahlquist in August about everything from ERB’s humble beginnings to the most important thing they keep in mind when creating content. When we asked them to come up with an on-the-spot freestyle rap featuring famous entrepreneurs — Elon Musk or Mark Zuckerberg, for example — they laughed and told us to wait for their next big thing. Looks like we may be a little psychic. Watch the founders of Tesla and Facebook battle it out below.